Indian Kashmir has heard a Catholic church ring its bell 50 years after it was silenced by protestors. Representatives of other faiths, including Muslims and Hindus, also celebrated the reactivation. 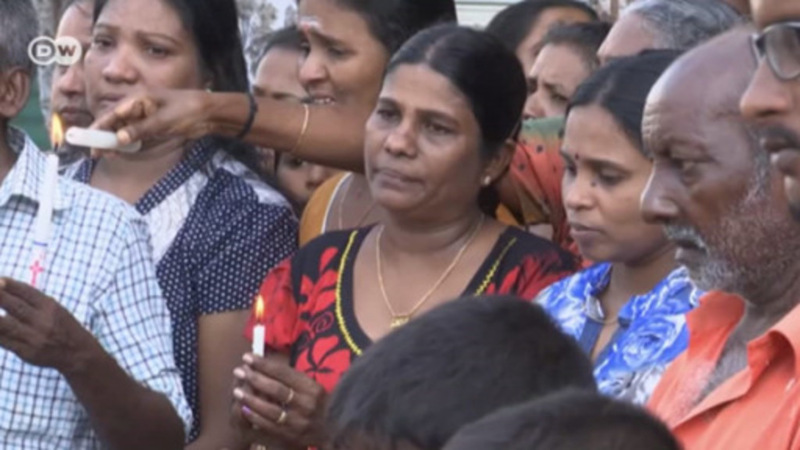 An inter-religious ceremony sought Sunday to make good on an arson attack that damaged the belfry of Srinigar's Holy Family Catholic church which took place in 1967 during the then-Mideast war between Israel and Arab nations. Members of the tiny Christian community of about 30 families in the capital of India's portion of Kashmir donated the new 105 kilogram (231 pounds) bell to replace the damaged original. The church's pastor, Roy Mathews, said Sunday's interfaith bell-ringing ceremony reflected the traditional "composite culture" of Kashmir and was also a call to renounce violence. "We are all one, no matter whatever faith, persuasion you have, but basically we are all human beings," Mathews said. Kashmir is administered in two parts by India and Pakistan, which each claim the Himalayan territory in its entirety. Since the 1980s, secessionist unrest has claimed more than 44,000 lives. A spokesman for the Church Committee, S M Rath, told the Mumbai-based media concern DNA ahead of Sunday's event that bell ringing was a call to worshippers, "something analogous to the Islamic tradition of azaan from a minaret." Rath said one of the 30 Christian families living in Srinagar donated the bell. He said Muslim, Hindus and Sikh representatives had been invited to "jointly ring the new bell for the first time." "We want everyone to join us in this happy occasion. That is why we are giving the privilege to one member of each community to joint our priest," Rath told DNA. The Holy Family, one of three main churches in Srinagar and Baramulla, dates back to 1886, during the British colonial era on the subcontinent when it was established by Mill Hill Catholic missionaries from north London. During the 1967 Mideast War that sparked the protest in Srinigar, Israel captured the Gaza Strip, east Jerusalem and the West Bank - lands long sought by Palestinians as their future state. In 2005, Israel withdrew from Gaza. Some 400,000 Israelis live in the West Bank, in addition to 200,000 Israelis in annexed east Jerusalem - in settlements largely opposed by the international community. India kills top Kashmiri rebel – A setback or a stimulus for separatists? Violence has increased in Kashmir following a terrorist strike that killed more than 40 Indian troops. The Indian army has scaled up operations in the region, and locals are increasingly worried amid rumors of war.